Love comics and superheros? So does The Escapist! 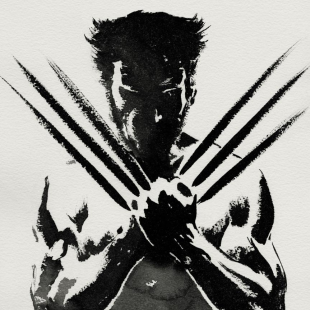 The Wolverine hits the silver screen today, and we here at The Escapist are looking forward to seeing one of our favorite comic book superheroes get the limelight once again. In honor of the occasion, we've looked through our archives and picked out some of our previous features that discuss comics, superheroes, and why we love them so much. I'd read comics throughout my childhood, though I was never what you would call a comic book fan. My dad would bring me home Uncle Scrooge comics whenever he went to the store, and sometimes he would bring home huge stacks he'd picked up at garage sales. As I got older, Dad brought home fewer caches of comics, and eventually they stopped coming altogether, until one day, years after I'd last visited with Scrooge McDuck, he brought home an enormous stack full of characters I'd never seen before: Rom: Spaceknight, The Avengers, The Fantastic Four. Our neighbor had been about to throw out his own collection of comics, and my dad stopped him on the way, on the off chance that his little girl might enjoy them. The strangest thing about the Punisher is that he doesn't exist. Frank Castle, Marvel Comics' vigilante anti-hero, first appeared as a Spider-Man villain in 1974. A Vietnam vet whose family had been murdered by the mafia, Castle became the Punisher to use the methods of war on the problem of crime. For the first two decades of his career, the Punisher represented American paranoia about crime and discord over the Vietnam War. These days, Castle embodies a different conundrum. The Immortal Iron Fist is one of the most critically acclaimed comics in the American mainstream. An epic reanimation of one of Marvel's post-exploitation-flick '70s heroes, it's made millionaire martial artist Daniel Rand relevant and exciting to superhero comics fans for the first time in living memory. It's even been shortlisted for this year's prestigiousEisner Award for Best New Series. It's the product of an inspired collaboration between crime-pulp godhead Ed Brubaker and comics' new golden boy, Matt Fraction. Co-writing, while not commonplace, has a long history in comics. In fact, even when working on a title by themselves, writers often talk about picking up the phone and calling a friend to hammer out the tricky narrative problem of who's going to be punching who in whose face this month. Collaboration over the phone is how a previous generation of writers got tasks like The Immortal Iron Fist done. From their comic book origins, superheroes have migrated to novels, movies, cartoons, toys, TV shows and especially videogames. Throughout the history of gaming, the number of characters we've been able to control with powers that far surpass the human norm is almost beyond counting. Yet only a fraction of these characters are considered superheroes. If Iron Man is a superhero, but Metroid's Samus Aran is not, it begs the question: What makes a superhero? Let's begin with the obvious: Superheroes have powers - superpowers. If they had no greater abilities than the common man, anyone could be a superhero. Cyclops can shoot powerful beams from his eyes, the Flash can run fast enough to travel in time, Spider-Man is strong enough to lift cars and Batman is the world's greatest detective. Wait ... does that last one count? If you frequent comic shops, you've probably noticed the veritable explosion of videogame-based comics that have appeared in the last three years. Whether it's World of Warcraft, Mass Effect, or even Prototype, comics inspired by videogames have become a common occurrence. Believe it or not, Sonic the Hedgehog was one of the first videogames to make the transition to comics, with a manga series published in 1992 by Shogakukan. The same year, Sega also signed a deal with Archie Comics to produce a Western comic based on the blue speedster; this series, also titled Sonic the Hedgehog, started during the height of Sonic's popularity but has continued running to this day. Many of you may not have heard of Steve, but comic book aficionados, along with everyone who watched the old TV show remember him as Wonder Woman's one and only steady boyfriend, and one of the most prominent members of her supporting cast. On top of being the love of Wonder Woman's life, Steve was also the reason Diana became Wonder Woman in the first place. And yet, the character has barely seen publication in the last few decades. A surprising number of comic book fans are unaware that he ever existed at all, and those that are aware regard him as nothing more than a silly relic of Wonder Woman's earlier days. So what happened to Steve Trevor? Why is such an important character, one vital to the character's origin story, so ignored by the comics of today?